Since the onset of the Internet and the availability of portable digital audio playback devices, podcasting has caught on since the latter part of the year 2004. According to Edison Research, a leading podcast research company in the world, sixty-four percent of the U.S. is familiar with podcasting, and twenty-six percent of which have listened to a podcast. These numbers represent the rising opportunity in reaching a target audience through podcasting. To understand what podcasts are, you can start by knowing how the term came to be. A podcast is a merger of two words: iPod and broadcast, which means broadcasting through an iPod. Its main idea is Internet radio on demand. It holds a variety of content and contains numerous channels. Unlike with radio, you can simply play any content at your convenience. When you subscribe to a podcast channel, you can get updated with the topics that you are interested in, or you simply enjoy listening to. Topics are not only limited to news, entertainment or editorials. They can also cover the business world and very specific branches under it. One of these specific business avenues is the Business Process Outsourcing (BPO) Industry. Podcasts have become an effective platform to address the BPO audience. Since BPO has become a staple in the Philippine economy, the number of people who are interested in it is significant. It offers unique features that we, the audience, can definitely enjoy. In the Philippines, 1.3 million people are employed in the BPO Industry, and this number is still growing. That’s about ten to fifteen percent of the total global market share in outsourcing. That’s how vast the BPO podcast audience can potentially become. Since podcasts have become a popular go-to media platform if you want to listen to any current information, the BPO industry has used it to reach a target audience, outsourcing companies, and employees. Philippine outsourcing podcast channels have made a means for outsourcing companies to reach their intended audience. They can now address BPO executives, owners, employees, and even small business proprietors who are interested in outsourcing more easily. When you are part of the audience, you have the privilege to single out channels that will give you the relevant information about the BPO industry. This saves a lot of time browsing through channels that will not address your concerns. When you subscribe to an outsourcing podcast, you know you will hear information about the industry that you are in. You have plenty of options to choose from since the number of podcasts that focus on outsourcing has been increasing. However, you can opt to check for the top outsourcing podcast first before jumping into the next one. The BPO Industry has been steadily growing in the country. It has become a lifestyle for some. Many media platforms have since recognized the BPO culture and have built a platform that can cater to the BPO industry. BPO radio is one of these platforms. This is where Outsourcing Accelerator Podcast comes in. Our site offers over 160 podcasts you can choose from. Our podcasts cater to the Business Process Outsourcing employees’ and employers’ need to be informed. It sends out information that disperses varying knowledge from the BPO community. Its unique programming makes sure that the taste and lifestyle of the BPO industry audience are catered to. Its podcasts feature the issues that you may encounter in the BPO world. We took up critical issues like salaries and compensation in the Philippines, how hiring the right people is key, and even how artificial intelligence or AI is a threat to outsourcing. While you are listening to these enlightening podcasts, we have a virtual assistant who can help you understand the topics more, or just answer whatever questions you may have. Whether you are a business owner, an outsourcing company, or a BPO employee, we make sure that you are informed. OA’s vision is to inspire people by providing an overall dynamic and meaningful service that will benefit the listeners and the BPO industry. The audience can listen to different personalities in the field and be updated with the latest news on outsourcing. Our focus is to provide assistance for startups, entrepreneurs, and business owners with small-to-medium sized companies. You are one of these companies if you have two to two hundred employees. Furthermore, if you are based in major Western Markets, you will definitely appreciate the value of quality work with low labor cost. We made sure that you could easily access our podcasts. Just connect to a Wi-Fi and go to our site and choose from any of our podcasts that will interest you and will benefit you the most. Subscribe to our podcast, so we can keep you updated with the latest podcasts on our site. You can sign in with your Facebook, Google, LinkedIn accounts or simply your email. You can even disseminate outsourcing information through our podcasting since it is not limited to mainstream media. You can join our community, and you can make a podcast for your company and tackle different topics about the BPO Industry or give your feedback after listening to other outsourcing podcasts. We encourage you to be a part of the BPO radio or podcasting. One of podcasting’s distinguishing features is its ability to deliver itself through different podcast distribution points like iTunes, PlayFM and Stitcher Radio. These distribution points are readily downloadable to your gadget. You can easily use iTunes if you’re using a Mac or PC or Podcasts App for iOS when you are using your iPhone. We have created the OA podcast to pave the way for the people in the BPO Industry to interact with each other. Firm believers in outsourcing, like us, have dedicated ourselves to inform businesses about the opportunities that outsourcing gives to the growth of a company. One staunch advocate of outsourcing is Derek Gallimore. He founded Outsource Accelerator, an outsourcing podcast with a vision to share information about the business process outsourcing industry. Outsource Accelerator was his response to the growing need to provide an independent source of information on outsourcing. At the early age of 17, he has been involved in the business world and has traveled a lot. He recognized the need and many advantages of outsourcing. He has been immersed in it and has since become a strong advocate of the business outsourcing industry. Through his passion, knowledge, and experience with the world of business outsourcing, he has created a platform where he can share his expertise, conduct interviews with other experts, and seek out others who have made BPO part of their lives. Thus OA’s podcast has been created to connect specifically to a target audience, the BPO Industry. Derek has made it a mission to encompass the BPO community through information by podcasting. There are other hosts who have a similar vision and encourage entrepreneurs to innovate and outsource. 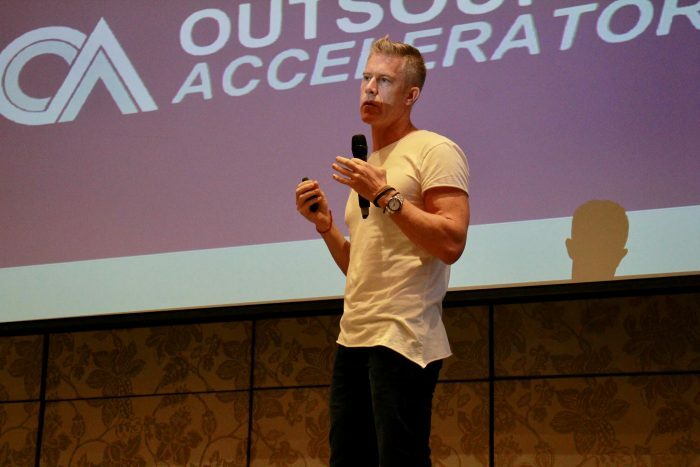 In promoting outsourcing and offshoring Philippines podcast, Derek, along with others like Henry Acosta and Chris Ducker podcast presenters, also encourage the growth of the BPO industry in the Philippines. They can reach an audience with specific information that can be directly useful to an intended market. By taking up different topics relating to the industry, they encourage the community to interact and help each other out regularly. They can address issues that are prevalent in outsourcing and provide solutions or simply give their opinions or perspective that can help you create solutions. Acosta has interviewed Derek Gallimore about Outsource Accelerator (OA). The interview highlighted Gallimore’s business journey and why he started OA. Acosta’s overview of the interview praised OA in becoming the world’s leading authority on information resource for outsourcing and offshoring in the Philippines. He further clarified that Outsource Accelerator is not an outsourcing company, but rather the best outsourcing podcast you can use as a source of information that you need to help you with your outsourcing journey thru podcasting and blogging. 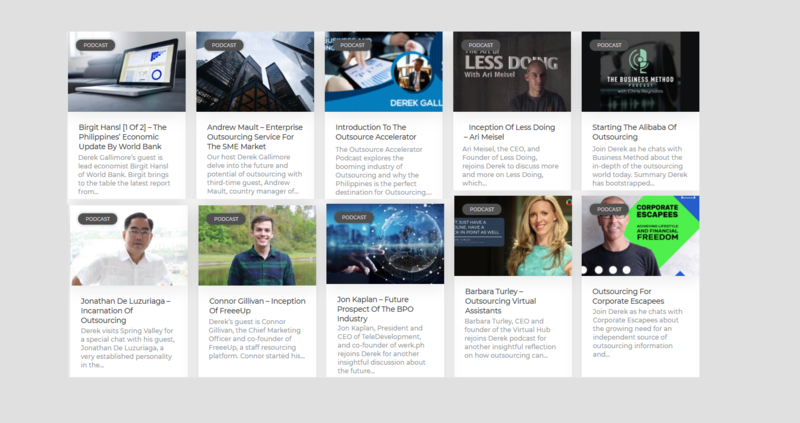 After all, Outsource Accelerator podcasts contain hundreds of contents that cater to the culture of the outsourcing industry. Not only does it share its own outsourcing knowledge but broadcasts interviews with entrepreneurs and big companies who have discovered outsourcing as a business solution. It gives you access to interviews or lectures with and by experts in outsourcing. It gives you an opportunity to gather all the information on why you need to outsource for your company. It provides a platform where you can listen and speak up on what goes in the BPO Industry. Outsourcing Accelerator and other outsourcing podcasts are used by BPO Executives to disperse information to the community and business owners in the west. All kinds of information can be attained like how outsourcing can help your business, how they came about running an outsourcing company, and all news pertaining to outsourcing. Outsource Accelerator podcast is a way for us to enjoy content about business process outsource industries from around the world for free. We can teach, entertain, and keep you updated with the most relevant BPO issues and events, all at the same time. We are an interactive outsourcing talk show podcast that tackles one outsourcing topic at a time. If you are a member of the audience, you can leave comments, questions, and suggestions regarding the topic at hand. The interaction may be live, real-time or may be played at any time that is most convenient for you. 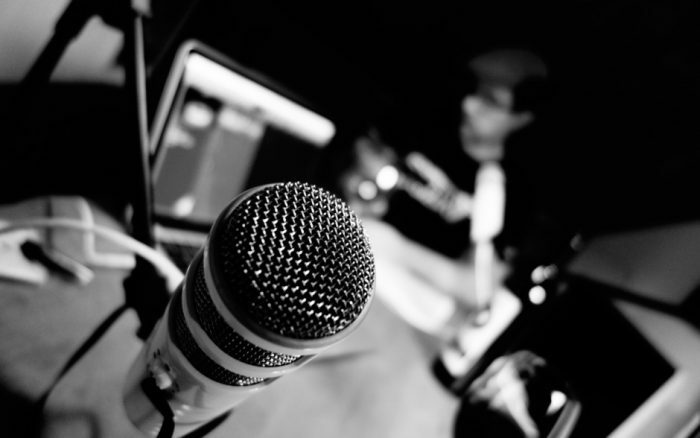 When a member of the podcast audience wants specific information about outsourcing transcription, conversation with an expert can be initiated through the podcast. The interviewer can read the inquiry and relay it to the interviewee and can be addressed immediately. This makes the interaction more effective since it was asked and answered directly. This access to outsourcing information given by the Outsource Accelerator podcast provides you a way to empower yourselves and know what you are getting into in the BPO industry. To have that knowledge through the experts’ eyes and learn thru their experiences gives you the advantage to start from something. We acknowledge the need for outsourcing industry owners to have a platform where they can inform and be informed, and we at Outsource Accelerator can make this happen. Due to our dedication to responsible information dissemination, we have become the trusted Philippine outsourcing podcast. Information through technology is a tool we can use together to our advantage. You can choose to embrace this advantage. Keep yourself informed and abreast with the trends and latest in the BPO community. Make that connection with other people who have made BPO their way of life. 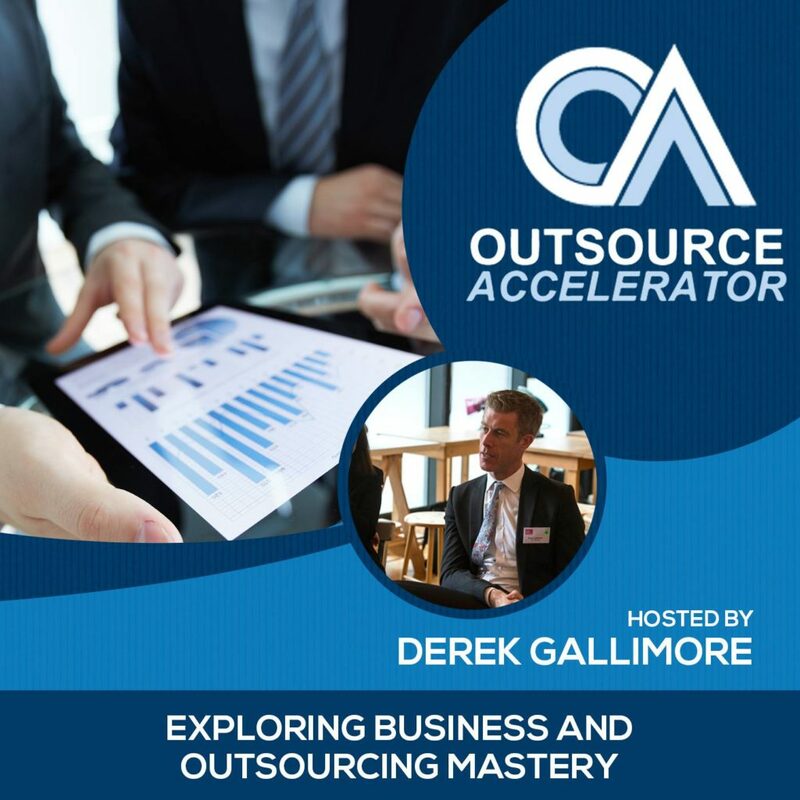 The Outsource Accelerator podcast is hosted by Derek Gallimore – the founder of Outsource Accelerator. Derek has been outsourcing since 2011 and has been based in Manila (the world’s outsourcing capital) since 2014. He started ‘in business’ from as young as 17 years old, and started property development when he was 24. He has experienced the incredible highs of business, and also his fair share of the lows. Business and entrepreneurship are in his blood. When Derek started outsourcing, it was his biggest ‘aha moment’ in business. It was at that point, back in 2011 that he realized the incredible power of outsourcing and how it could transform businesses across the globe. Derek is now as passionate about outsourcing, as he is about business in general. He started Outsource Accelerator in response to the need for better information and education around outsourcing. 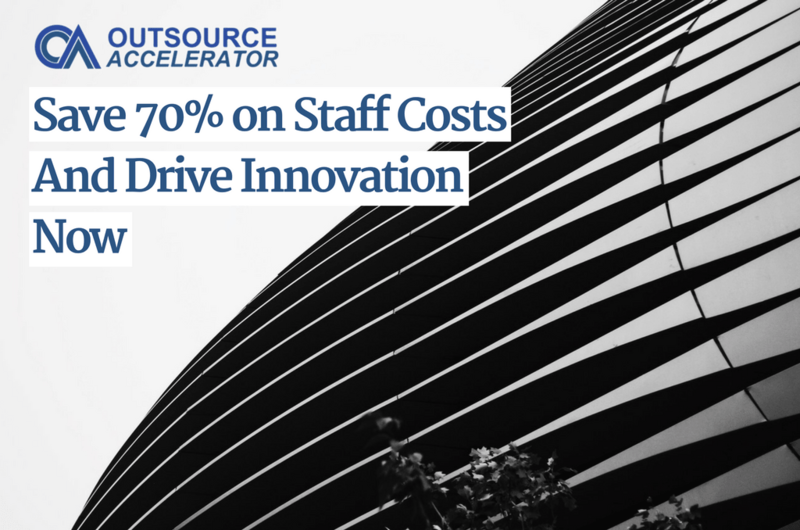 Outsource Accelerator is on a mission to spread the word about outsourcing and to make it easier for businesses to learn about, and start their outsourcing journey. Read more about Derek Gallimore here. Derek Gallimore started the Outsource Accelerator podcast, in May, 2017 so that he could promote outsourcing to the world. 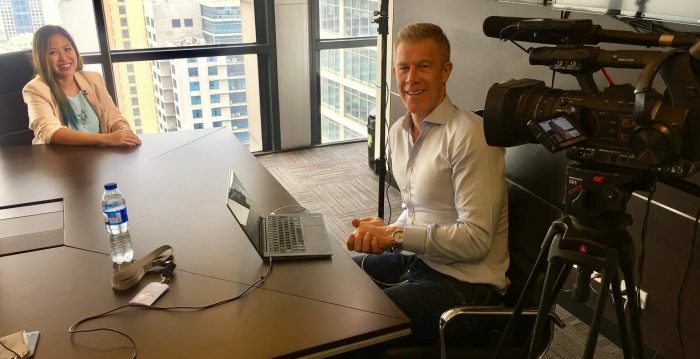 The podcast allows Derek to have conversations with the best and most knowledgeable people within the outsourcing industry, and share their knowledge with the rest of the business community. You can create an account with Outsource Accelerator so you can ask us any outsourcing inquiry that you may have. You can interact with us and raise awareness to an area of concern that you think our podcast should cover. You can also recommend an expert or a BPO personality that may be a good spokesperson for the industry. You can even invite our very own, Derek Gallimore, as a guest if you have your own podcast and want him to speak to the BPO community thru your channel. You can visit us at our official site, join as a guest and browse through the company’s portfolio particularly on what our daily podcasts have to offer. You can enjoy OA’s abundant outsourcing information, education, and advisory, and connect with the company by contacting us directly via our office. When your business’ or career’s growth depends on outsourcing, make it imperative that you keep yourself updated. It is important that you make yourself aware of whatever current events or news that will affect the BPO Industry. 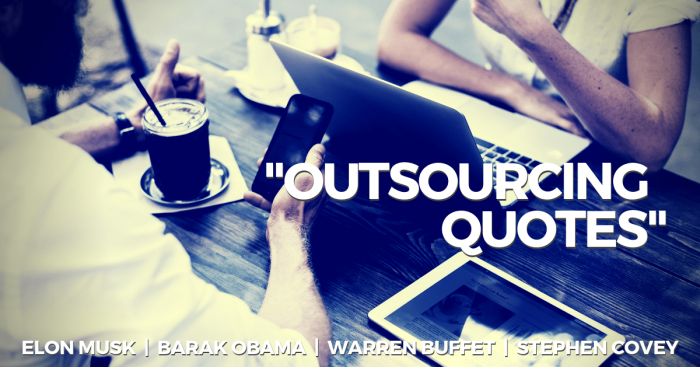 Safeguard your business or career by making Outsource Accelerator podcast your number one source of outsourcing information. Outsource Accelerator podcast will make certain that you are given accurate and pertinent information in outsourcing. We provide a bridge where you can be connected with the BPO community not only in the Philippines but also all over the world. We are completely independent, and we want to make your quest for outsourcing easier. We can help connect you to over 500 verified outsourcing suppliers. We are proud to say we are fast becoming the world’s foremost outsourcing authority. We take pride in giving unbiased and objective outsourcing information that will help the BPO Industry grow to its full potential. Connect to a community where you can share your common interests. Make that connection possible today and subscribe to Outsource Accelerator; make us your choice of Philippine outsourcing podcast.